Even if your journey starts in Barcelona, it would be a shame if it finished there without taking time out to explore the rest of this semi-autonomous nation. Catalonia's landscape ranges from the beaches of the Costa Bravan coastline to the rocky mountains of the interior. Outside of the cities and major tourist towns, you are more than likely to hear the odd Catalan conversation or two. You may even chance across one of the many festivals that take place within this most fascinating of Spanish regions. 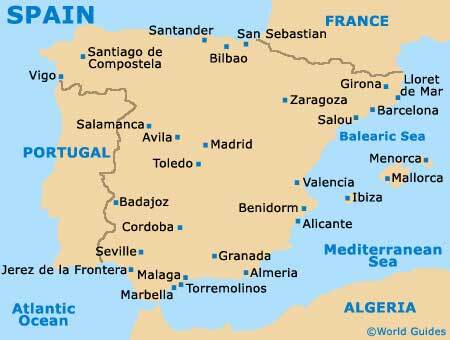 The geography of Catalonia makes it perfectly reasonable to cover some of the best tourist destinations in Catalonia within the space of an average holiday - if you are prepared to travel around. Take a trip to Girona, with its maze of medieval streets and buildings, or head south to Tarragona, home to some of the most significant evidence that the Romans were once here in Spain. Likewise, Lleida is ideal day trip material, with its unusual fortified cathedral. Barcelona is a picture of cosmopolitan Spanish life. Awash with crowded bars and restaurants until late into the night, it is not the sort of place you would go for a bit of peace and quiet. That said, its historic centre has a large number of Gothic buildings and some fine examples of Gaudi's surrealist architecture, including the iconic Sagrada Familia church. Sun, sea and sand are top of the agenda for visitors to Catalonia's Costa Brava. Many of its beaches have been transformed into mass tourist resorts over the years - Lloret de Mar springs to mind. There are still a few that have resisted the lure of development, including Cadaqués, hanging onto their traditional white painted houses, hilly streets and working harbours. For scenic summer rambling or for skiing in winter, it is necessary to take to the hills of Catalonia. In the north of the region, the Catalan Pyrenees feature the magnificent Parc Nacional de Aiguestortes. Otherwise, just south of Girona are the remote Serra del Montseny mountains. The sophisticated and stylish city of Barcelona is one of the most popular cities in Spain, second only to Madrid. Barcelona is a large city with something to suit everyone. Situated on the coast of Spain, Barcelona has the perfect location. Lloret de Mar serves as a popular package-tour destination and resides alongside the Costa Brava coastline, within the province of Catalonia. The sandy beaches and thriving nightlife are the principal draws in Lloret de Mar. Situated on the Costa Daurada, next to Reus and Tarragona, the small town of Salou has a big tourist appeal. Salou offers enticing golden beaches, which come with scenic backdrops provided by traditional Catalonian villages.